IIIM’s Director, Dr. Kristinn R. Thórisson was recently interviewed on the Icelandic TV show Nýsköpun–Íslensk vísindi. During the interview, Dr. Thórisson discussed his work on a project that brings ideas once confined to the realm of science fiction closer to reality. The international research group, led by Dr. Thórisson, developed a computer that can learn continuously in real-time, replicating human learning as closely as possible. In the interview, Dr. Thórisson explains the parameters that were setup for the project and the solutions that the group developed. The long-term goal is not merely to create machines that can carry out specified tasks, but to develop machines which can learn how to solve new tasks with limited or no human assistance. This project has the potential to eliminate the need for people to carry out hazardous jobs, ideally reducing the incidence of job-related injury and death. Further development in the field may also facilitate research that will deepen our understanding of human nature by creating machines that replicate knowledge acquisition and its track influence on behavior patterns. 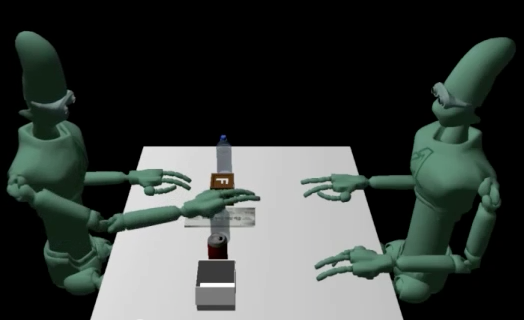 This artificial general intelligence research was part of a three-year research project called HUMANOBS which was completed in June 2012 and sponsored by Reykjavik University and the 7th European Community Framework Programme. This project has already received two Kurzweil Awards, in 2012 and 2013, and an outstanding paper award at the Intelligent Systems & Agents Conference in 2014.